Although quirky, undeniably Swedish and sometimes lol amusing, didnt quite hit the spot as 100 yr old man did. 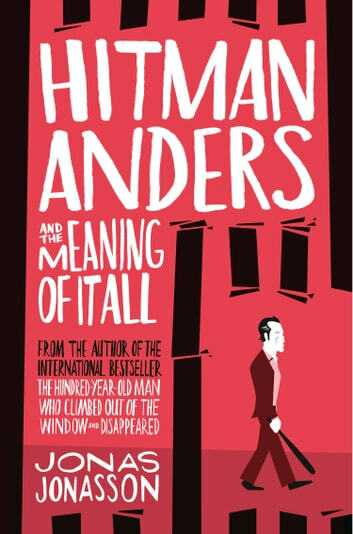 It felt like this book was skating on the thin ice of a southern swedish lake with all those unexplored depths of character and unfathomable mysteries ignored. Good for a winters afternoon read but not for much else. Not nearly as good a read as the" one hundred yr old man". The style of writing is very similar but it didnt seem to role along and wasnt as entertaining a read. I loved the matter of fastness of this book. How it spells out the most simple things, make it humorous. Do your self a favour and read it! If you enjoyed the 100 year old man, then I suggest you pass on this one. It is nowhere near as enjoyable or as easy and pleasang ro read.